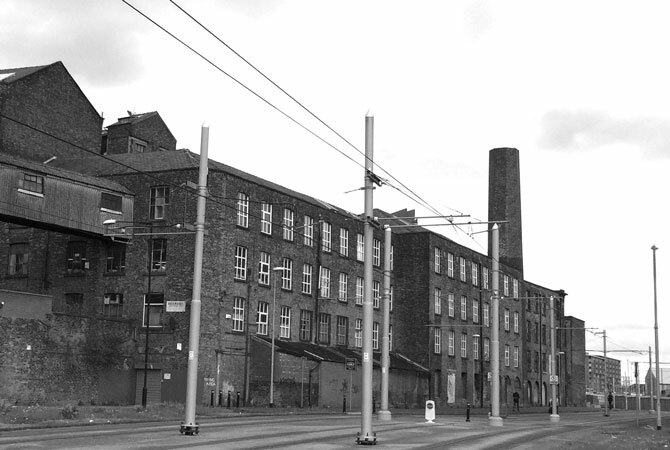 The grade II listed Crusader Works complex is situated between Chapeltown Street and the Metrolink line extending north east from Manchester’s busy Piccadilly Station. The development is formed from 4 distinct buildings. 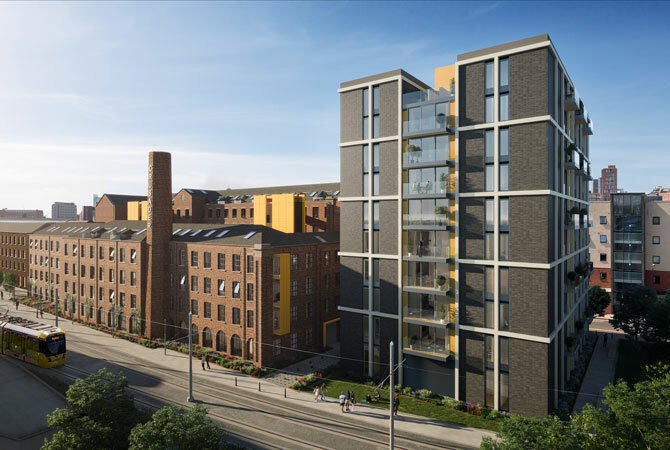 The scheme proposes to retain buildings 1,2 and 3 with the demolition of building 4. 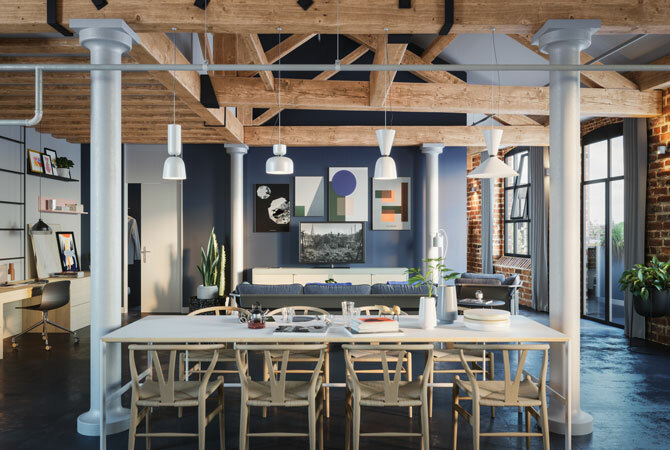 A simple design strategy was employed to transform the existing run down building into 126 quality, modern apartments. 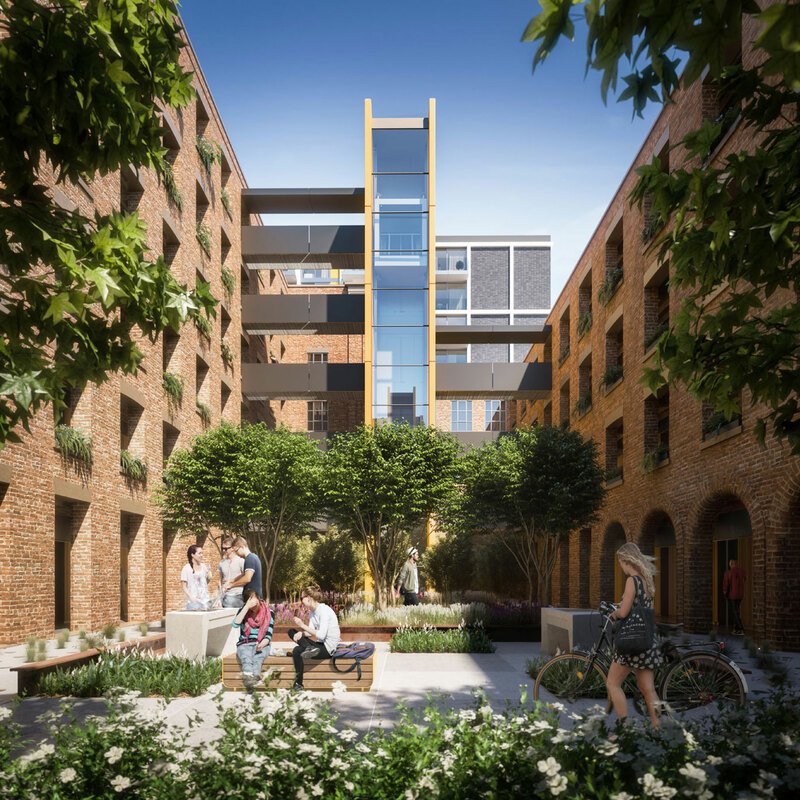 Apartments line the outer facades of each of the mills with a cloister facing into the courtyard allowing access to each of the apartments. 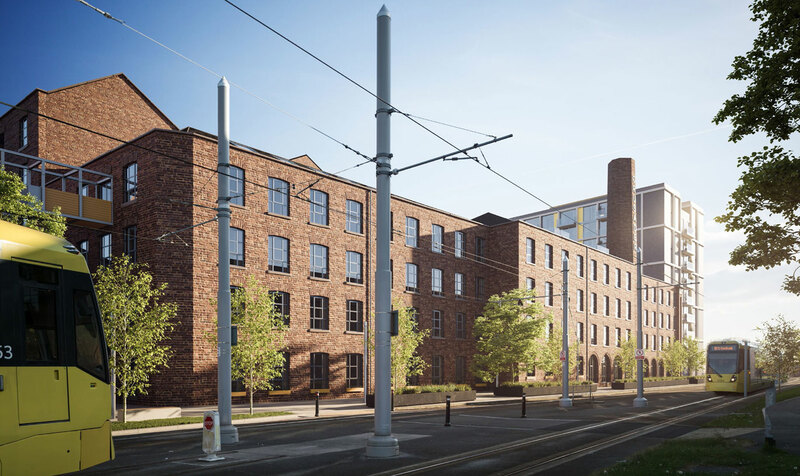 The existing materiality and character of the mills are to be retained where possible with existing structure and brick walls to be exposed. The new build building 4 is to follow a similar language with concrete soffits and structure exposed where possible. 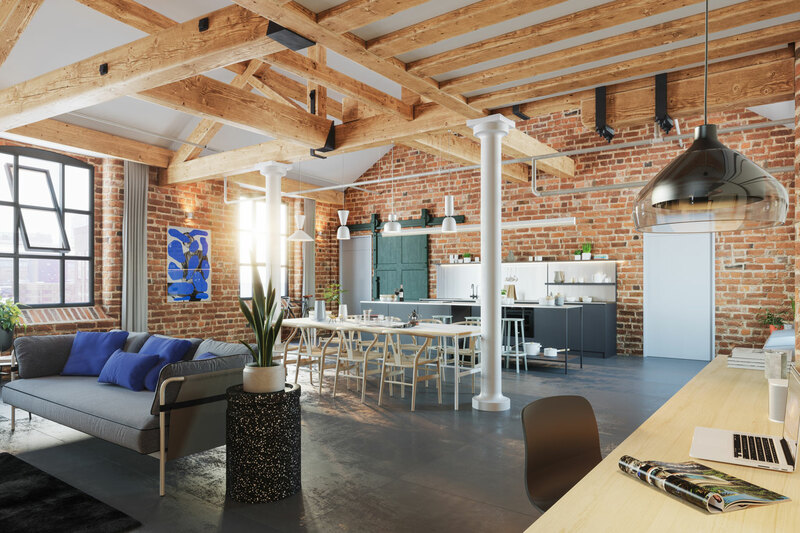 Internally, the character of the existing mill buildings is to be retained, the existing brick walls will be exposed within apartments, as well as the existing structure, giving the apartments a unique feel.